iradiophilly | News - 3 Students Arrested in Sexting Scandal; Phillies Decline Lee's Option; Revel to House Refugees? 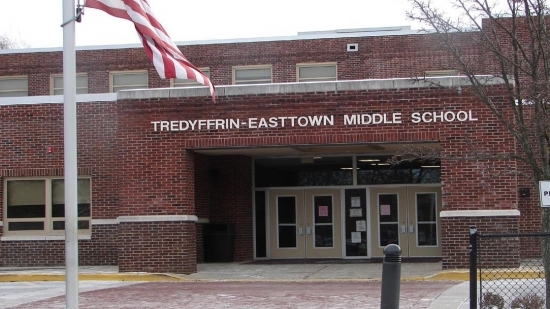 The Tredyffrin Township Police Department has filed charges against three middle school students for creating and sending sexually explicit messages in a sexting investigation dating back to last April. The suspects range in age from 11 to 15. Most of the photos were selfies from students at Valley Forge and Tredyffrin-Easttown Middle Schools. In one case a female student was harassed with a pornographic photo taken from the internet. In another case, a student offered to sell another student an image of a classmate. The students have been charged with obscenity, indecent assault, stalking and harassment. The T/E School District has been cooperating with a police investigation related to alleged misconduct by middle school students. We take these matters very seriously and follow up with procedures that promote safety for all students. The incident may also carry school-based discipline. As such, the District cannot comment on specific student discipline matters, as we must do all we can to preserve the privacy rights of all students. The District has cooperated fully with law enforcement agencies throughout this investigation and will continue to do so. We join with the police and the entire community to emphasize responsible use of technology and to affirm the rights of all individuals to live and thrive in an environment free from harassment. This message is central to our mission and our daily work with students. The Philadelphia Phillies have declined P Cliff Lee's $27.5 million option for 2016. They will instead pay the $12.5 million buyout on the 37-year-old. Lee missed the entire 2015 season after tearing a flexor tendon in spring training. He also only started 13 games in 2014. He will now become a free agent. Florida developer Glenn Straub has yet another idea for the vacant Revel Casino Hotel in Atlantic City. He is now offering use of the facility to the US government to house thousands of Syrian refugees. The property is likely to remain vacant for some time as Straub fights legal battles with existing tenants and utility companies. He would request reimbursement costs to operate the building and expect other entities to take care of humanitarian logistics (ie. food, healthcare, etc.) but the space is available with casino-level security.